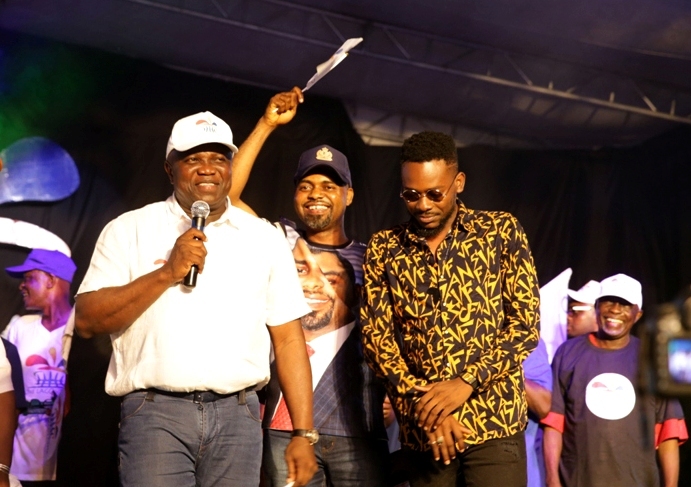 Lagos State Governor, Mr. Akinwunmi Ambode (middle), with music star, Adekunle Gold (right) and Comedian, Omobaba (left) during the One Lagos Fiesta at the Epe Recreation Centre, Epe, Lagos, on Sunday, December 25, 2016. 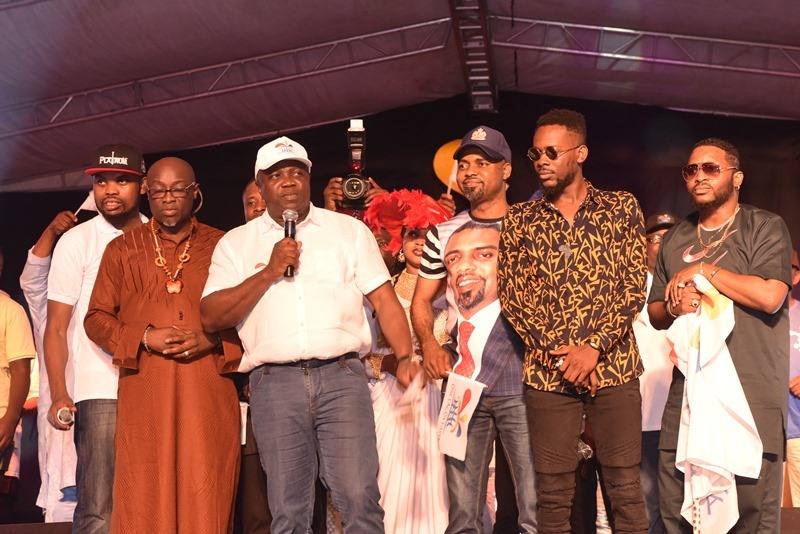 Lagos State Governor, Mr. Akinwunmi Ambode (2nd left), Comedian, Omobaba (left); Afro-Pop star, Adekunle Gold (right) and member, Lagos State House of Assembly, Hon. Olusegun Olulade during the One Lagos Fiesta at the Epe Recreation Centre, Epe, Lagos, on Sunday, December 25, 2016. 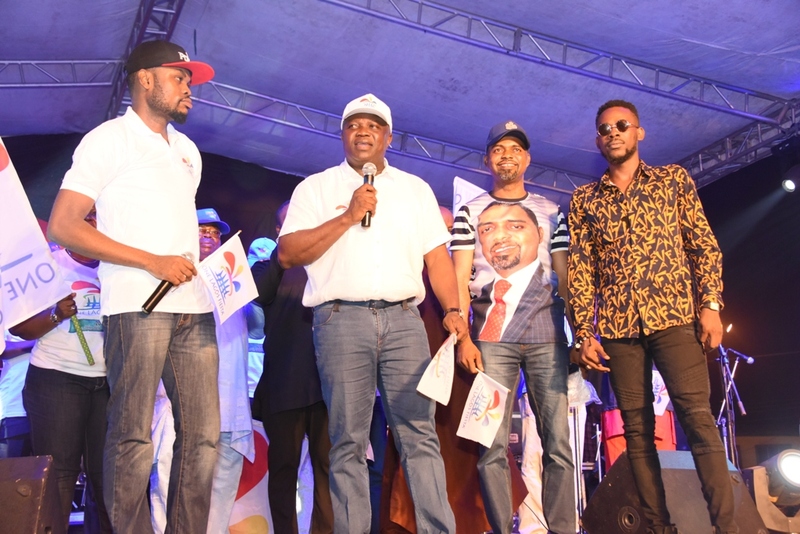 Lagos State Governor, Mr. Akinwunmi Ambode (3rd left), Comedian, Omobaba; musician, Dr. Adewale ‘Mr. 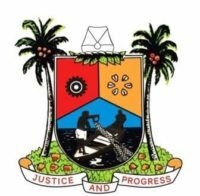 Johnson’ Ayuba; member, Lagos State House of Assembly, Hon. 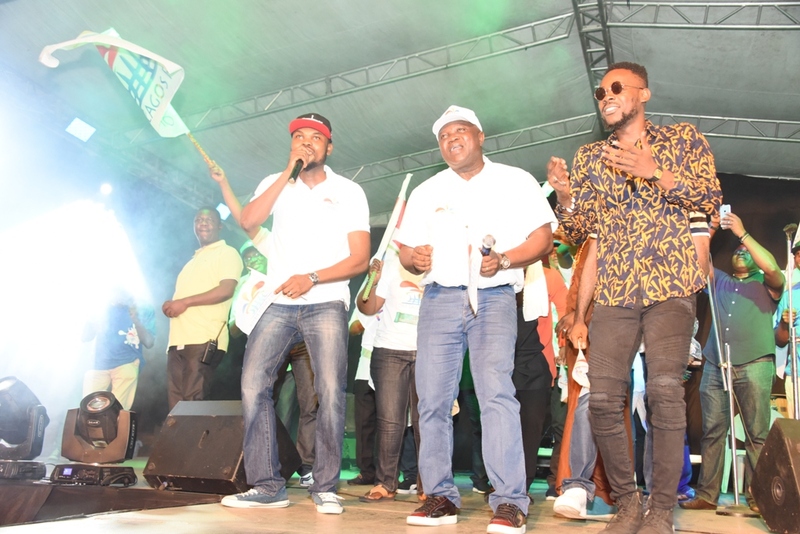 Olusegun Olulade; Afro-Pop stars, Adekunle Gold and Olu Maintain during the One Lagos Fiesta at the Epe Recreation Centre, Epe, Lagos, on Sunday, December 25, 2016. 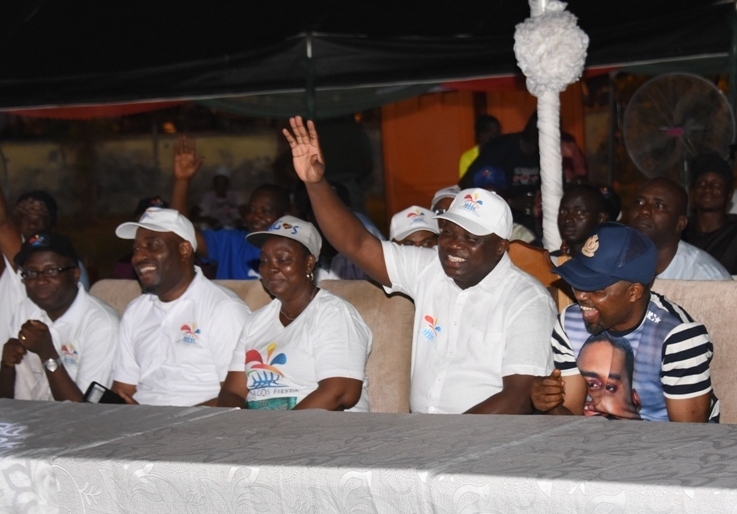 Lagos State Governor, Mr. Akinwunmi Ambode (2nd right); member, Lagos State House of Assembly, Hon. 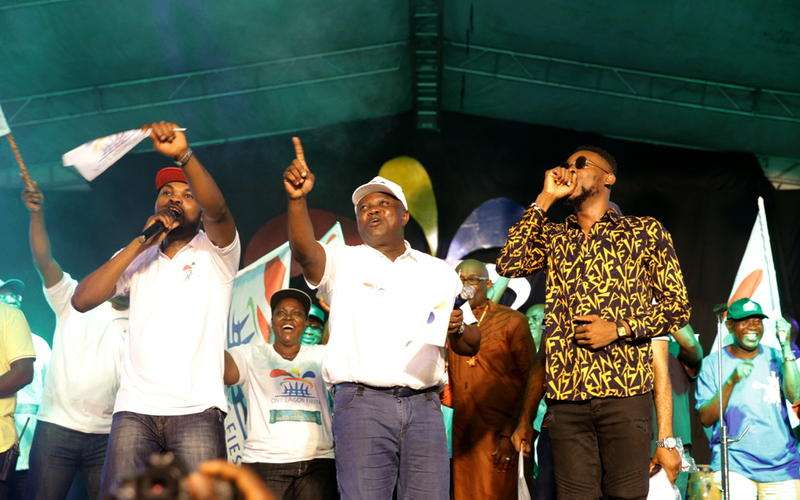 Olusegun Olulade (right); Acting Commissioner & Special Adviser for Tourism, Arts & Culture, Mrs. Adebimpe Akinsola (middle); Special Adviser on education, Mr. Obafela Bank-Olemoh (2nd left) and Commissioner For Finance, Economic Planning & Budget, Mr. Akinyemi Ashade during the One Lagos Fiesta at the Epe Recreation Centre, Epe, Lagos, on Sunday, December 25, 2016. Lagos State Governor, Mr. Akinwunmi Ambode, with member, Lagos State House of Assembly, Hon. Olusegun Olulade and Afro-Pop star, Adekunle Gold during the One Lagos Fiesta at the Epe Recreation Centre, Epe, Lagos, on Sunday, December 25, 2016. Hill, who essay writing helper from https://eduessayhelper.org/ may face a tough re-election battle.